Transforming Old Outdated Clothing From the Back of My Closet. So I went to my closet and pulled out my old leather trench coat from high school and my denim jacket and went to work! 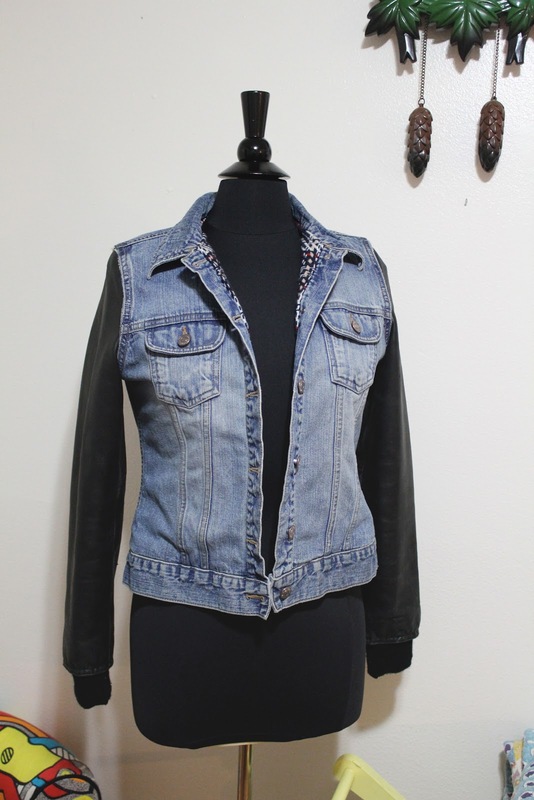 If I had different size sleeves I would have to re-pattern the sleeves using the leftover leather jacket to create the sleeve and use the jean jacket sleeve as a pattern for the new sleeve. Do Not Sew The Sleeve Lining To The Jacket! Just sew the outside sleeves to the jacket!